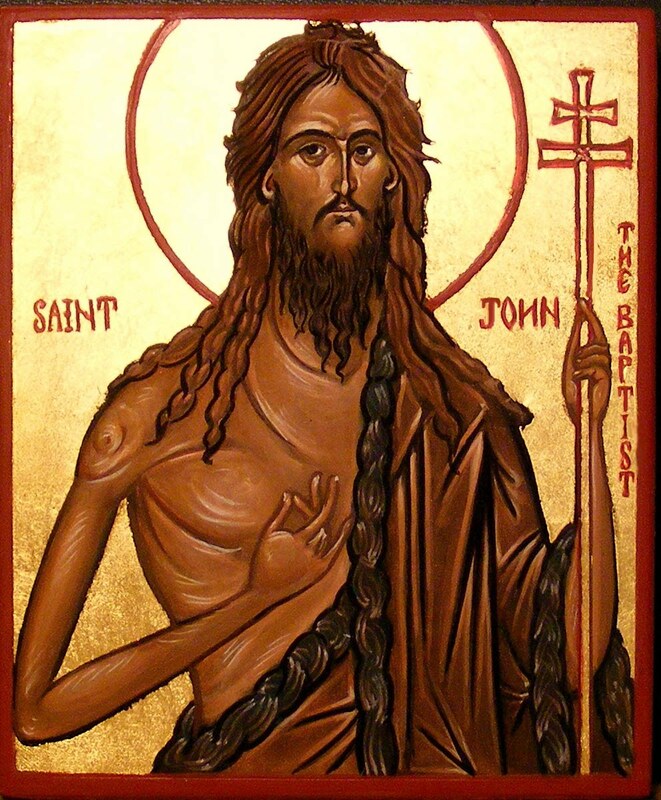 This Second Sunday of Advent, the gospel introduces us to a significant figure of the season, St John the Baptist. He stands at the threshold between the Old and New Testaments, a bridge linking the two. In John we see the culmination of centuries of prophecy, anticipation, and preparation. Luke introduces the ministry of John the Baptist by situating him in real time. In the ancient world, events were often dated according to the reigns of the kings in power. Luke by providing a list of the political leaders of the region Jesus lived and served in, is setting the stage for his story, a story which will have a real, historical framework. All these details are not simply boring history. They show us that the Gospels are based on actual historical events. It is not a made-up story - a fairy tale with a “once upon a time” beginning. But it must be said that Luke gave more than a chronological measure; he also told us something of the tenor of the times. Tiberius was an emperor, a god-king, known for his cruelty and severity and much hated by the local Jews. Pontius Pilate, his representative and pawn, was notorious for his brutal massacres of the Jewish people in Judea and his insensitivity towards the Jews. The rulers descended from Herod the Great, were no better than their forebear. They too were known for their corruption, cruelty, debauchery and political compromise with the hated colonisers. To add to the mix of political leaders, two additional religious leaders, who also held political power, were added. This is as real as it can get. Against the stark background of the political malaise in the Roman Imperial system, the prophet John the Baptist now rises to announce the coming of God’s Anointed One who would bring about God’s salvation. All these rulers who should have been the solution were really the problem. John now announces the solution, Jesus. Another reason for the additions of these names is that Luke wishes to add a universal dimension to the familiar story. He places John the Baptist into world history and makes us wonder why, with so many powerful people around, God chose to send his word to a person like John in an obscure part of the world, the wilderness beyond the Jordan. This new information encourages us in our Christmas preparations to gaze outside our small world at the big world outside, and to grasp how the Christmas story is a gift for the whole of humanity and no mere domestic celebration. John’s message of repentance for the forgiveness of sins is for all. One would imagine that with such an array of notables, who held sway over those who came under their rule, their mention by Luke would eclipse the ignoble personality of John the Baptist, introduced as John the son of Zechariah. Those unfamiliar with scriptures and Christian Tradition would immediately respond with a startled question, “Who the hell is he?” How did this no-body get mixed up with all these famous and powerful people? But the story would soon reveal, that it is John the Baptist who will eclipse all others. We have forgotten the names of the others. But the name of John the Baptist continues to be mentioned and preached from every pulpit on this Sunday. But John had no ambition for political power nor did he wish to create a massive cult following like so many other religious founders. In his relationship with his disciples John never lost sight of his mission to point them not to himself but to the one to come. He did not jealously demand their loyalty. Rather, it would seem that he readied them to follow the Messiah whose way he was preparing. John was true to his mission as a herald. He never claimed more than God assigned to him or attempted to promote himself. He was willing to fulfill his role as forerunner, and step aside at Jesus' appearance. In his death John continued to be a forerunner of Jesus. To some degree John understood the sacrificial nature of Christ's life when he named Jesus the “Lamb of God.” John was a man free from himself, free from fear of the opinions of others, free to direct all his energies to the one he came to announce, free for God. It is clear that John's message did not die with him. Our Advent Liturgy ensures this. It is time to face the truth about sin, about ourselves, and about Christ. It is time to cast aside our illusions about the Caesars and Pilates of today who continue to indoctrinate us with their contrary ideologies, ideologies promising well-being, but in truth, leading us further into damnation. The need for repentance and conversion of heart must remain constant among us. And that is why John's words have continued to resound in Christians' ears throughout the centuries. The Advent liturgy vibrates with the challenge of his cry, “Reform your lives!”. May we take John's call to heart!